Have YourSay on what equipment and amenities you'd like included in the new play space. We know play areas are important to Canberrans. They're a key element of a vibrant and connected community. 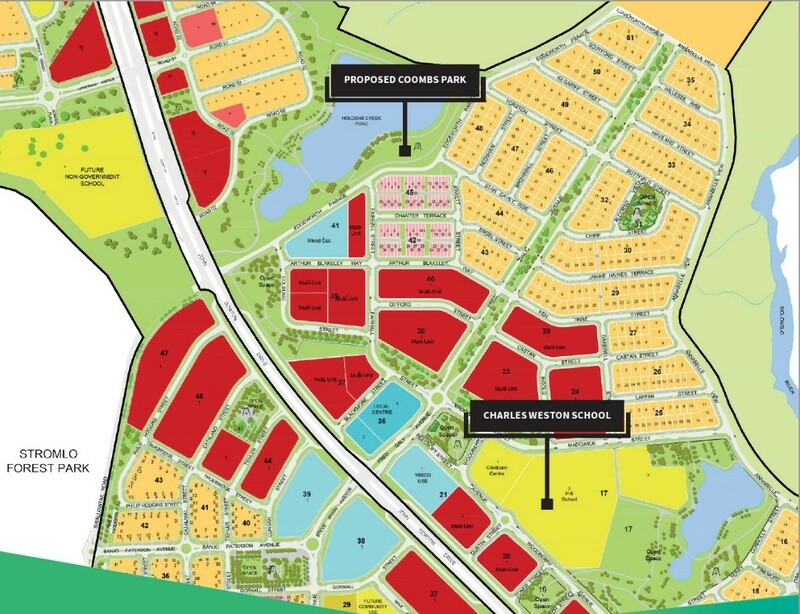 For Molonglo Valley, we want to provide a space which the entire community can enjoy. To ensure we include the equipment and amenities you want for the new Coombs play space, we asked you through a survey what you think should be included. We also asked you when you'll use the new play space so we can plan an interactive space that suits you and your family. To see a breakdown of what we heard and next steps, check out the Consultation Report and Coombs Play Space Engagement Responses. 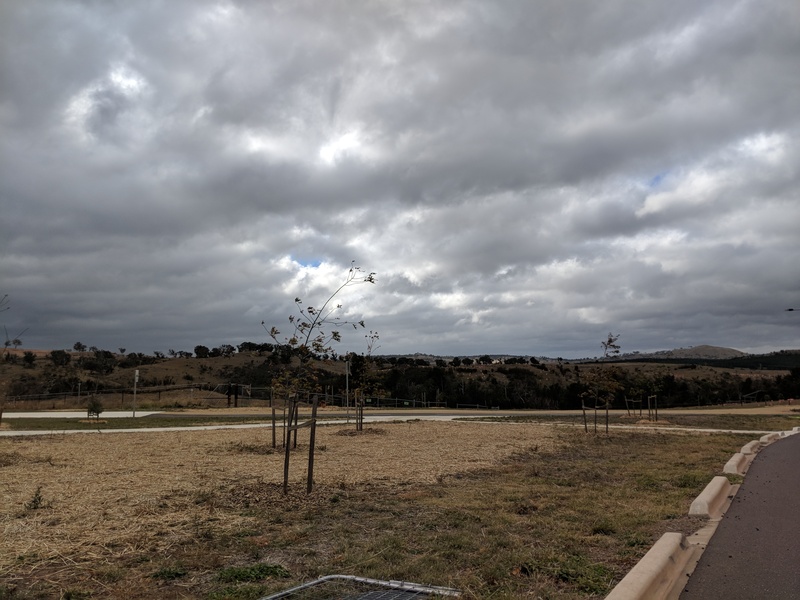 Coombs is located in the Molonglo Valley, Canberra's newest region between Weston Creek and Belconnen. The new Coombs play space will be a modern, unique location for families of all ages. It will include quality landscaping, and will be located adjacent to the Holden Creek Pond. There are a number of other play spaces which have already been built and opened in the area. Some of these include Link Park, the Coombs Central Reserve and the North Weston Pond Play Space. Check out Coombs’ other recreational spaces here. Your views are helping to inform what equipment and amenities should be included in the new Coombs play space. 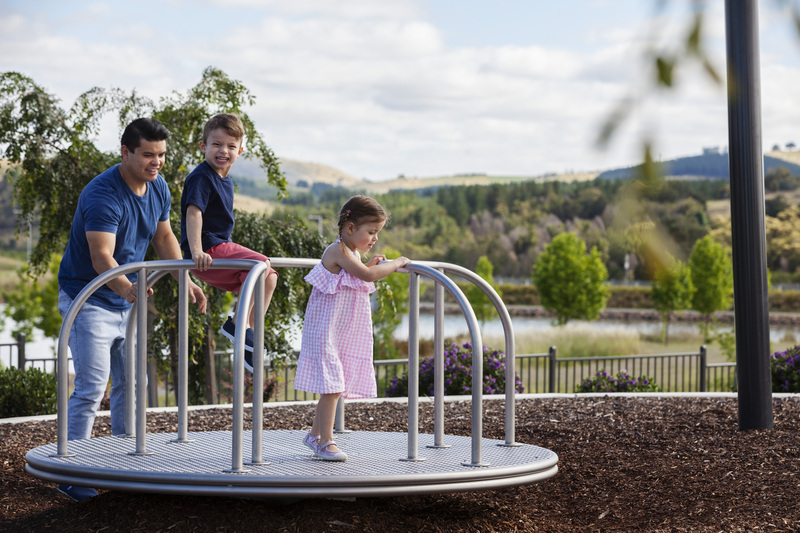 Due to play equipment sizing, your preferred choices have been given to a play space designer who will determine what elements should be included to seek planning approvals and create the best space for all families. To stay up to date with the new Coombs Play Space, check out the Suburban Land Agency website and Facebook. Coombs is located on the eastern side of the Molonglo Valley's arterial road, John Gorton Drive. With a cleverly designed layout, residents of Coombs enjoy the best of both worlds - a tranquil place to live with magnificent views of the surrounding mountains, and easy connection to facilities that support a thriving community. 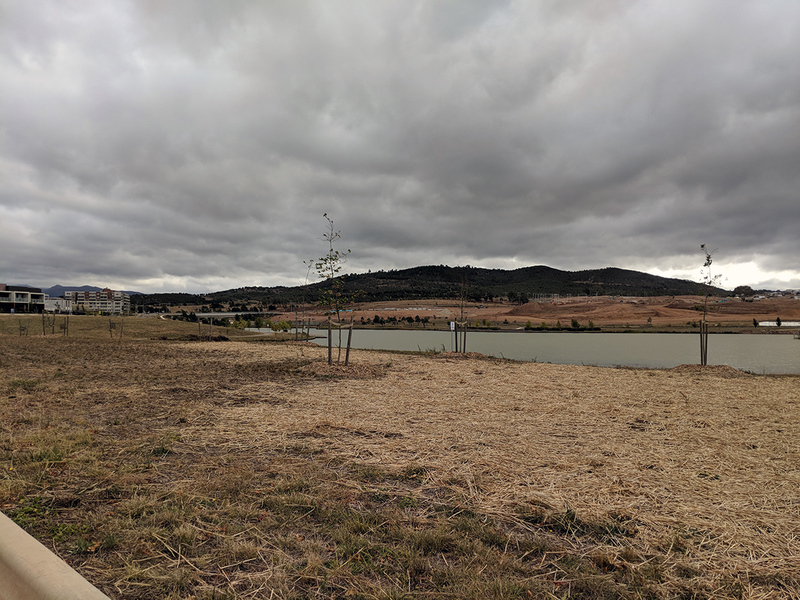 Coombs will be home to Molonglo Valley’s first community hub, convenience will be front and centre in Coombs with the construction of the local shops underway and a community facility also planned for the suburb. Charles Weston School is also the first in Molonglo Valley to service the local area. Coombs is also Canberra’s doorstep to nature, and is surrounded by walking trails, the Molonglo River, bike paths and parks. A fitness circuit with high quality equipment has also been created to make exercise convenient and fun. The 25 fitness stations support flexibility, strength, cardio and balance and are easily accessed by residents of Coombs and Wright with stations dispersed across both suburbs. To find out more, head to the Suburban Land Agency website here. Check out the Consultation Report and Engagement Responses to see a snapshot of what we heard and the next steps for a play space in Coombs. What equipment would you like to see in the new play space?